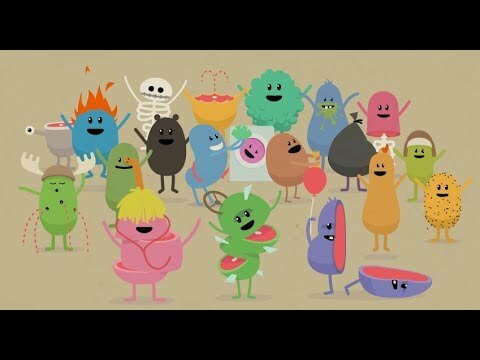 If "Dumb Ways to Die" had turned out differently, if the characters weren't so darkly cute, if the lyrics and singer Emily Lubitz's voice weren't so charming, it could have easily been one of the most annoying videos ever produced. But luckily for us (and the rest of the world), all of the pieces worked perfectly together, and "Dumb Ways to Die" has become a global phenomenon that won Best of Show at this year's One Show. Jaime Robinson from Pereira & O'Dell, who was on this year's One Show Interactive Jury, commented: "It was screened on the first day [of judging], and for the rest of the week, whenever it got quiet, someone would inevitably belt out the chorus." Such is the power of the little PSA from McCann in Melbourne for Metro Trains. We spoke with creative director and writer John Mescall after his agency's big win at the 2013 One Show. How does it feel to be named Best of Show? Winning Best of Show at the One Show is a great thrill and quite humbling, really. Have a look at all the great work in there: "Three Little Pigs," Nike FuelBand, "Greatness," "Push to Add Drama," Ragu... all wonderful campaigns, and to be in that company is a huge honor. And, of course, the One Show means a lot. There's no shortage of awards in the business, but the One Show has always maintained its standards and been one of the shows that you really, really want to win at. A One Show Pencil, regardless of color, always means you've done something special. They also fit in your pocket, which means that after the ceremony you can walk around town without looking like you've just robbed a pawnshop. You can't say that about other shows. How did the idea of doing a music video come about? The brief required us to get rail safety into the consciousness of young people. But traditional PSA advertising with its dire warnings and preaching tonality doesn't really work on young people, and anyone who either has kids or remembers being a kid pretty much knows this. So we just decided to forget everything about the PSA category and build a campaign around content that we know our target audience would respond to and share with their peers. This led us to writing a song. And, of course every song needs a music video. And so it went from there. We didn't really deliberately set out to do the opposite of traditional PSA messaging. We just tried to create something that we knew would work. It just turned out really quite different to anything else that had been done before in this category. People can't get the song out of their heads. Talk about how the words and music came together. The first draft of the song was written at the agency late one night. I didn't really have a tune in my head, but I knew that it needed to be something very sweet and lovely to contrast the darkness and, I guess, puerility of the lyrics. I tweaked the lyrics over the course of about a month, even after the early versions of the music had been written. It was really important that we make a song rather than simply an ad in the format of a song: our goal was to sell this thing on iTunes. Not necessarily to make money, but I think if you're working on a content model, a good challenge to give yourself is: "Will people actually pay money to own this?" If the answer is "yes," then you've got content. If it's "no," you've got an ad. We didn't want an ad. As for the music itself, the basic tune was developed reasonably early on but we worked on it for about six weeks or so, and it changed quite a bit more than once. The basic structure remained the same, but we tweaked it right up until the last minute. We kept on adding layers, then taking them away. There was a huge amount of attention to detail on this job. What started out as a video for a local transit system in Melbourne has become a global phenomenon. Was this the plan all along to spread awareness not just in Australia but everywhere? It was always the plan to create global awareness of the video and the song. Not because that was necessarily our remit, but because this is a social and online campaign. And the best way to ensure young people in Melbourne, Australia adopt the campaign socially is to make its popularity as widespread as possible. The Internet is a global beast. If you want something to go huge online, you can't limit yourself by geography. Of course we've done a bunch of stuff to localize the campaign within the confines of Melbourne, but all the online components were designed to generate more widespread interest. I assume the sequel is already in the works? The campaign will be ongoing, that's for sure. We followed up the initial song and music video with a game that's now gone to No.1 on the iTunes app charts in Australia and several other countries. And we're currently working on what's next. The key is to keep the campaign fresh and surprising, but at the same time be careful not to change direction just for the sake of it. It's fair to say we have some equity with this particular campaign.